The art to express one’s ideas and to clarify them without setting forth vague assertions is far from easy. In today’s world of globalization and increasing number of internet contacts people forget how to communicate in real life. You should keep this in mind, for it is a good example how social and economical context may influence one’s life. People today know only how to speak by using their mobile phones or to participate on Internet forums and/or social networks. However, the general rules of how to formulate a strong thesis and how to find relevant arguments to support it remain almost unknown. The essence of a thesis statement is to express author’s intentions, plans, ideas, or presuppositions. Roughly speaking, people express a thesis every single time when they confirm that, i.e. “the rose is red”, or that “today is the 5th of November”. Basically, every academic thesis should touch upon a scientific issue, or to analyze a problem of contemporary society, or to start out a discussion on some topic. Regrettably, students today have problems with discerning the thesis from the arguments, as well as they do not follow the general rules for formulating and defending the thesis. Here you will be able to find some pieces of advice instructing on what you should do and what you should not do. 1. Write one or two sentences expressing your thesis. Remember: the more sentences, the less comprehension! 2. Write a draft of your thesis and then read your paper three consecutive times. Then read your thesis again. You may add or change some words, but always keep in mind that your paper should be coherent, and the thesis is an integral part of it. 3. Be clear and concise. You should be able to choose whether to use scientific terminology or mundane language (not slang!). At any instance, try to use terms defined in your essay, or simple phrases. 4. Be argumentative! Say something new to the academic community, or at least expose your own thoughts. Convince your reader! 5. Avoid negative expressions; do not say “the population of the country X is not becoming richer”, but “the population of the country X is becoming poorer”. 6. Put emphasis on your thesis; write it in italics or bold letters. 7. Try to write impartially, in “objective” language; for example: “It is claimed that…” instead of “I think that…”. It will not be a disaster if you violate this rule, but your paper will sound more academic if you avoid using the first person throughout your paper. 1. Write under affectation, or use emotions; do not employ strong words, which may insult your theoretical opponent, or praise your favorite scientist/author/philosopher. Be cold-blooded; do not let your emotions dictate what you write. 2. Use personal critics, which is a frequent phenomenon during Internet discussions. Instead of clarifying their thesis, people prefer “attacking” their opponents personally. If you want to criticize a theory, do not level criticism against its author. 3. Dismiss the title of your paper without clarifying it. 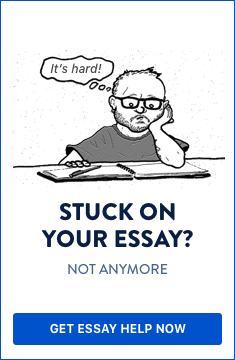 If the topic or the title of your essay cannot be found in the thesis, then you are probably not very confident in what you are writing, and perhaps your thesis will be supported only partially by the arguments. Strong theses stand out as very well elaborated in logical sense. They are easily comprehensible and contain fundamental knowledge. Every essay is based upon a thesis; to formulate it is the most difficult task. You should think over your thesis very carefully, as it will help you write your essay in an easy and comfortable way. Strong theses stand out as very well elaborated in logical sense. They are easily comprehensible and contain fundamental knowledge.